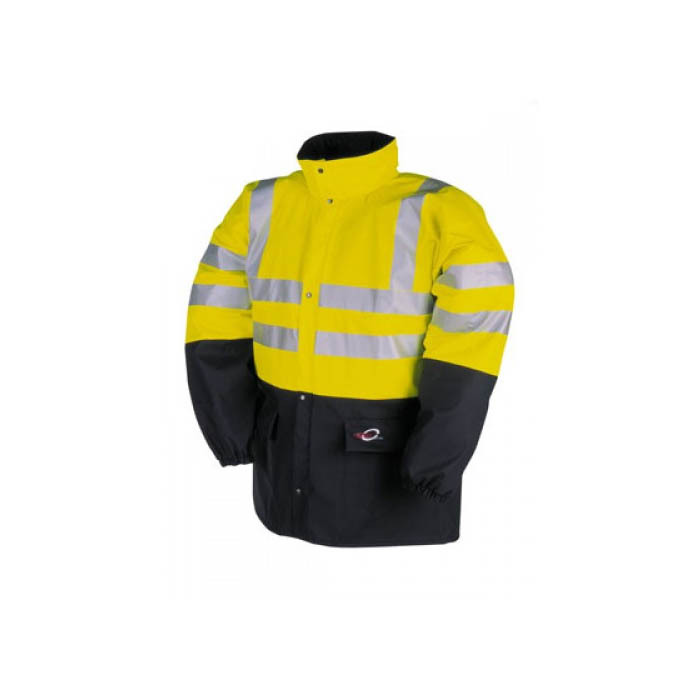 Flexothane Typhoon Hi-Viz Waterproof Jacket. Flexothane Essential is a technical fabric that offers you excellent protection. The polyurethane coating on a stretchable knitted base makes Flexothane water and windproof, comfortable, noiseless, 150% stretchable, supple, highly tear resistant and machine washable.